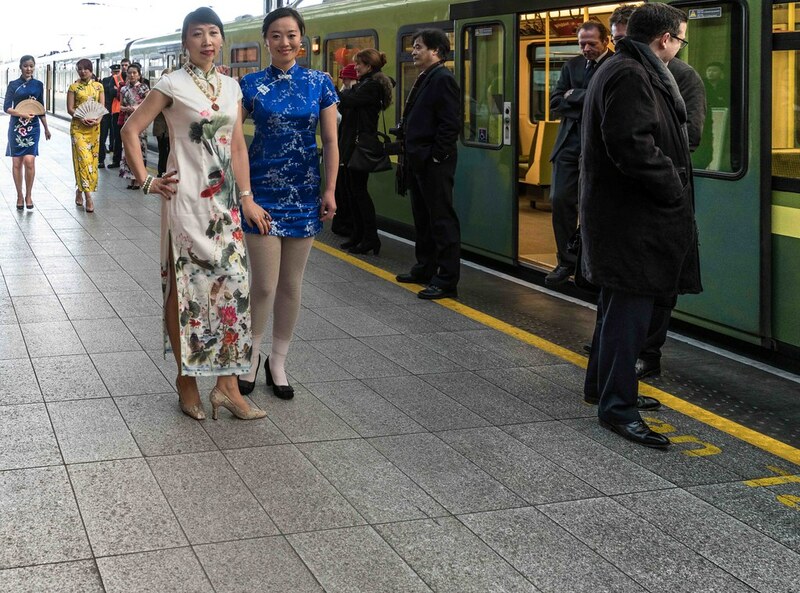 This morning I was on my way to Howth when a nice Chinese lady, thinking that I was a press photographer, invited me to photograph the ‘Official Chinese Delegation’ so I took the opportunity even though I did not have an ideal lens [my fall-back excuse for not being a good portrait photographer]. 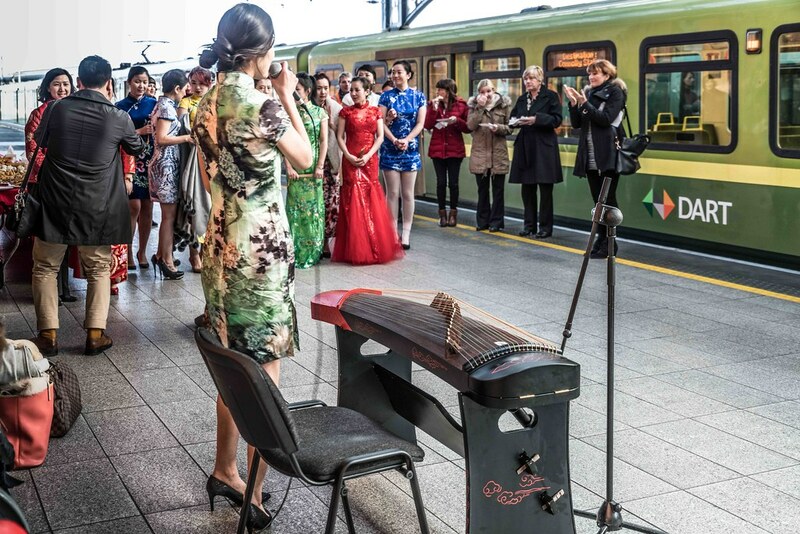 A delegation from the Shanghai Metro were in Connolly Station this morning as a two-week-long tribute to Chinese poetry was launched. 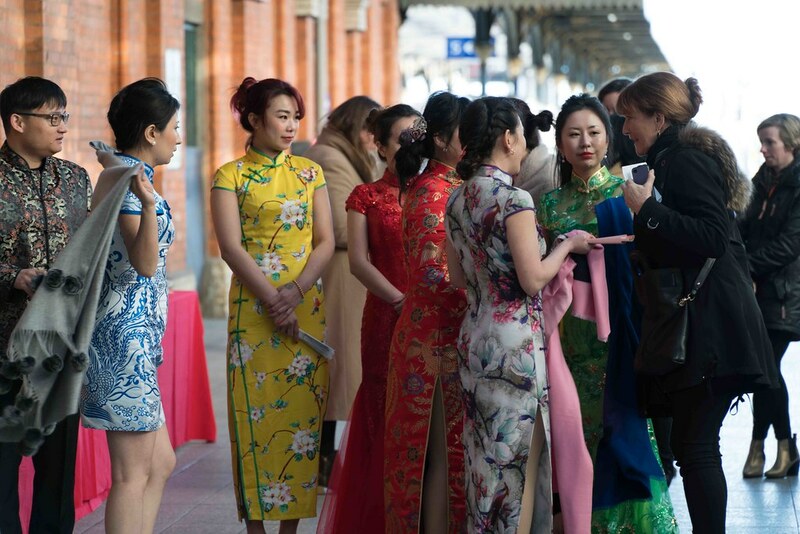 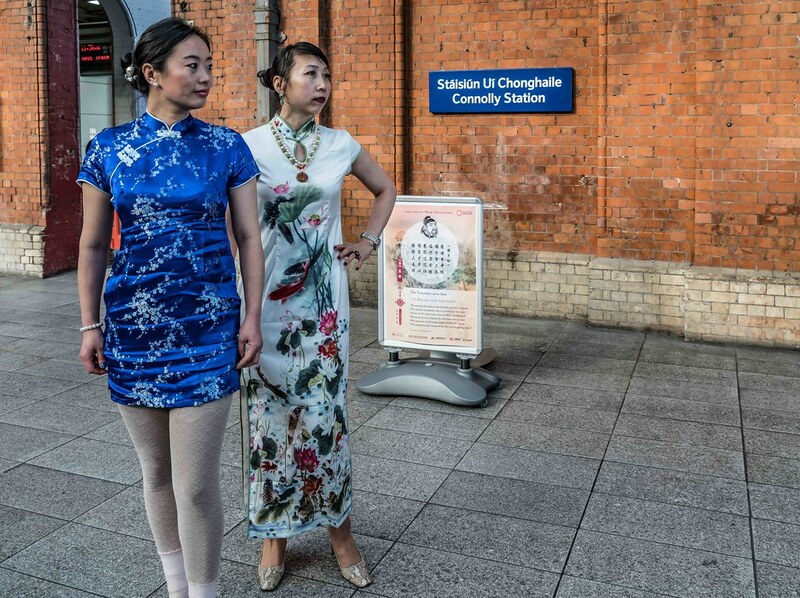 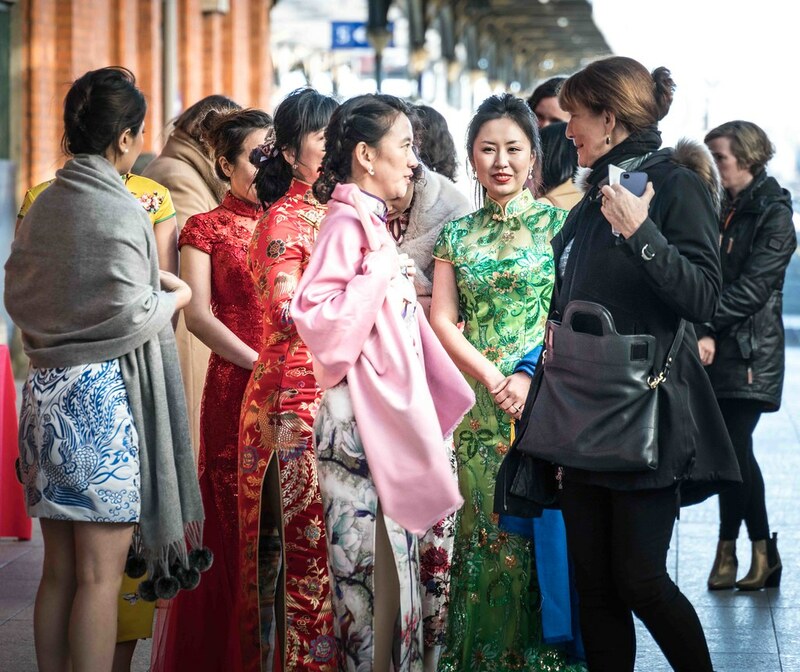 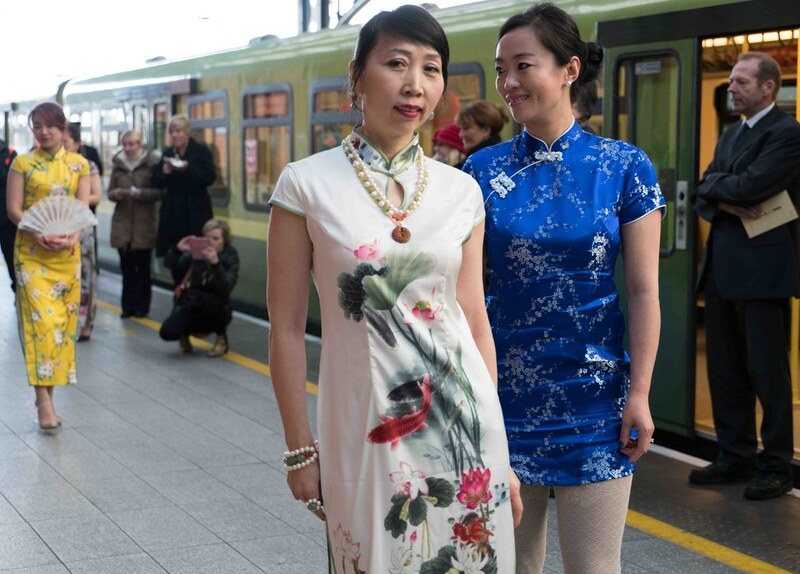 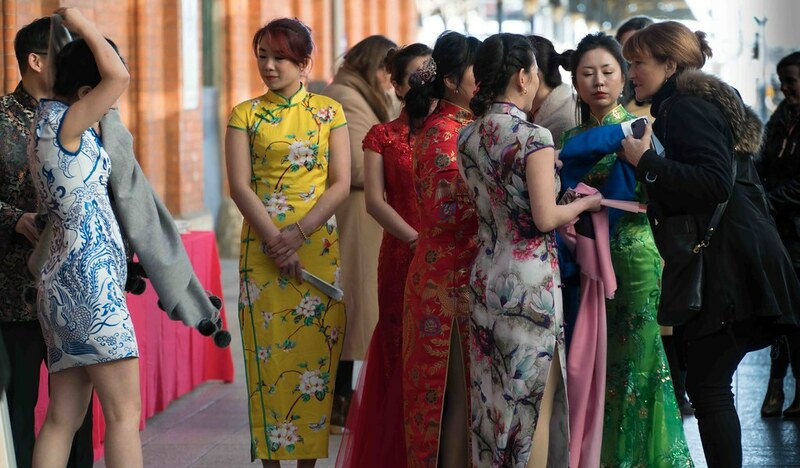 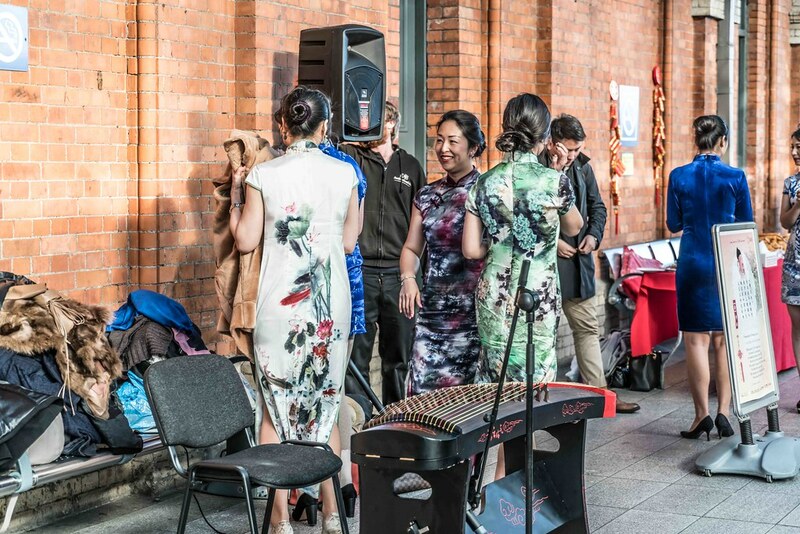 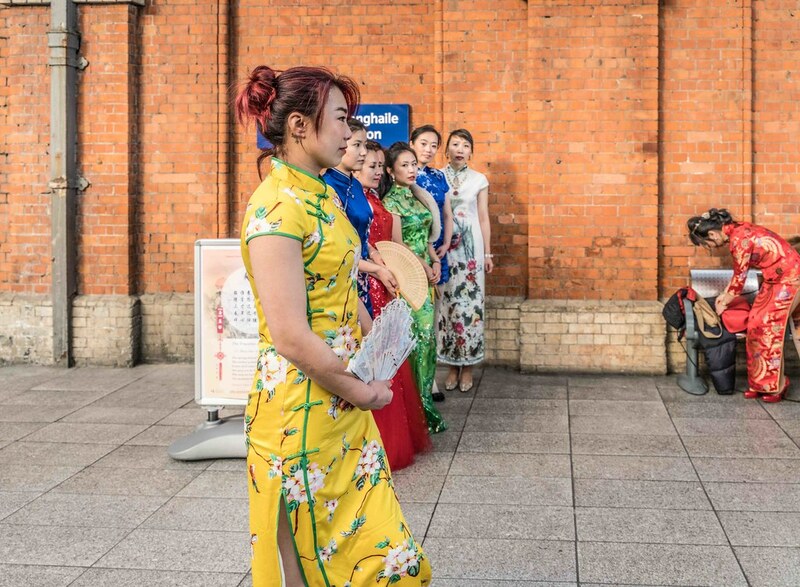 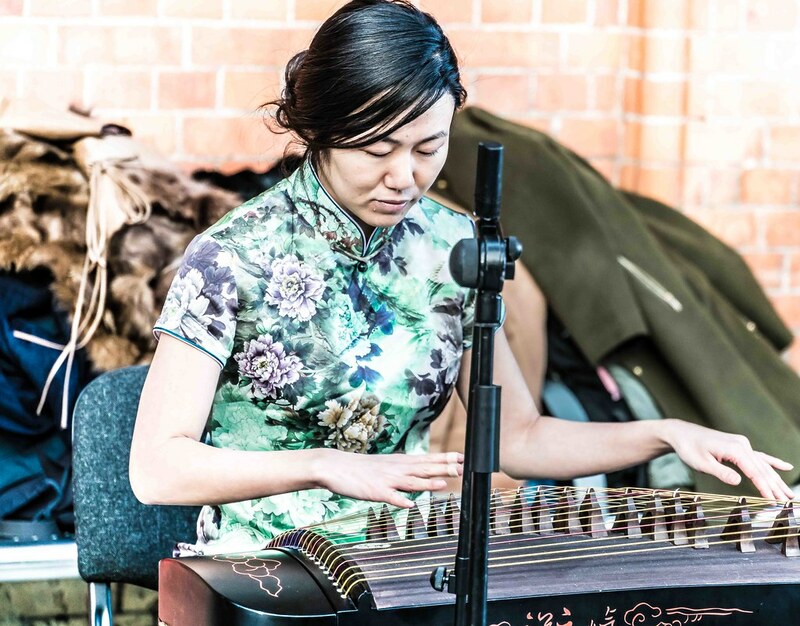 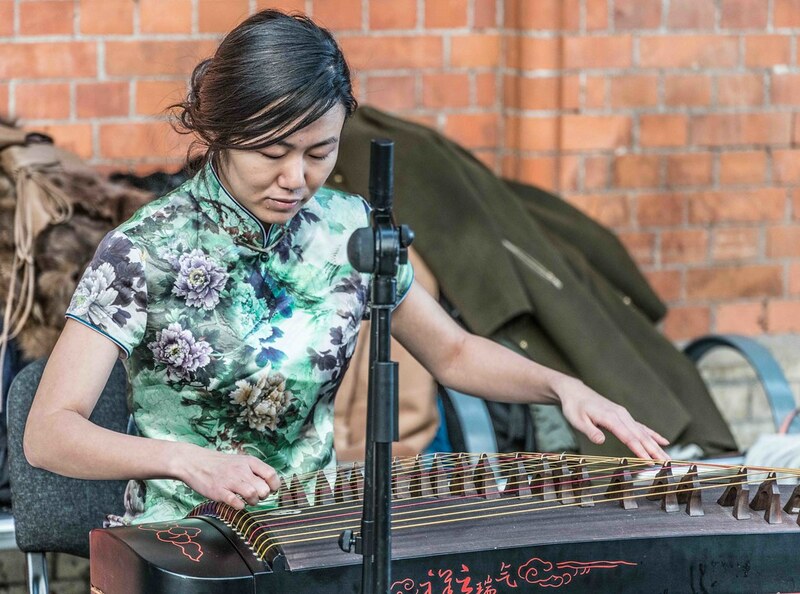 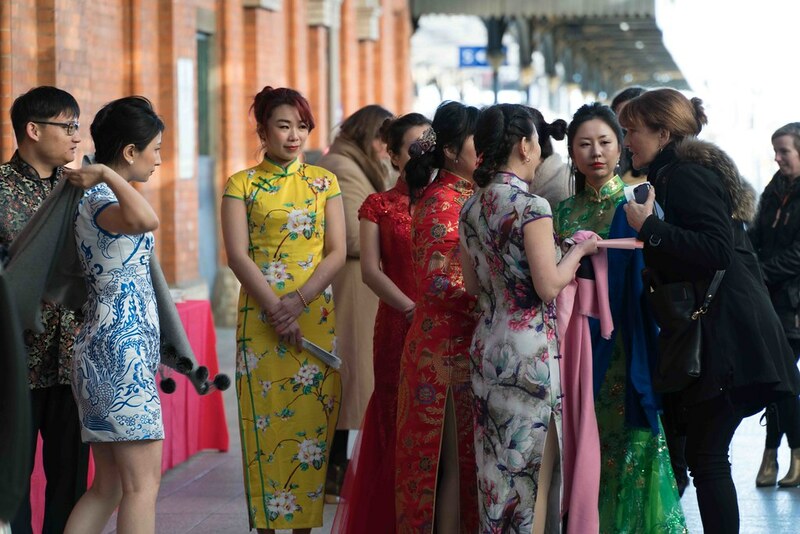 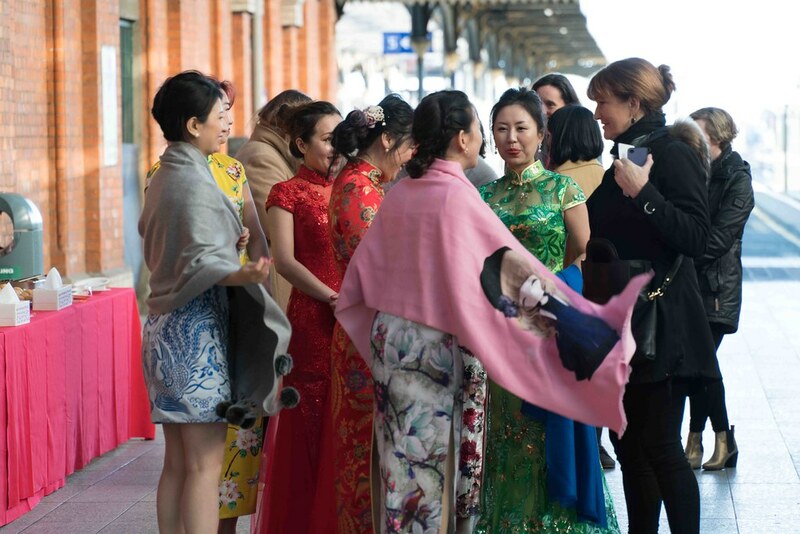 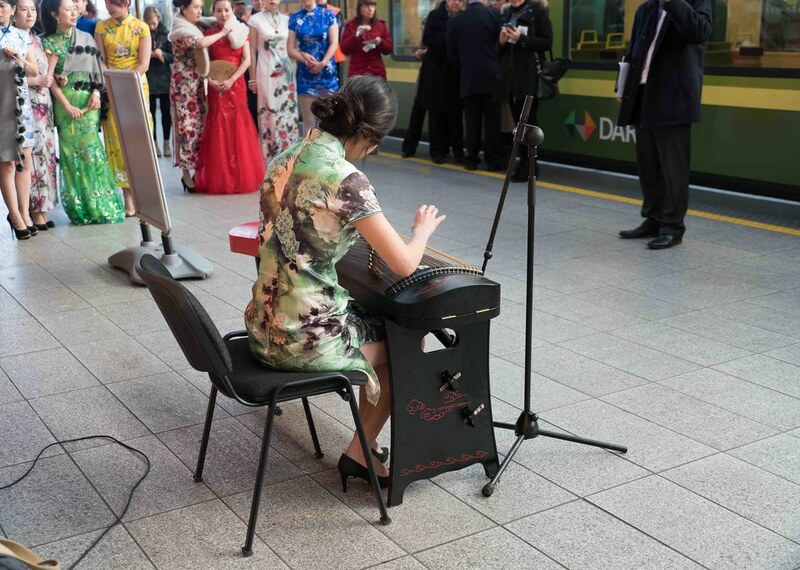 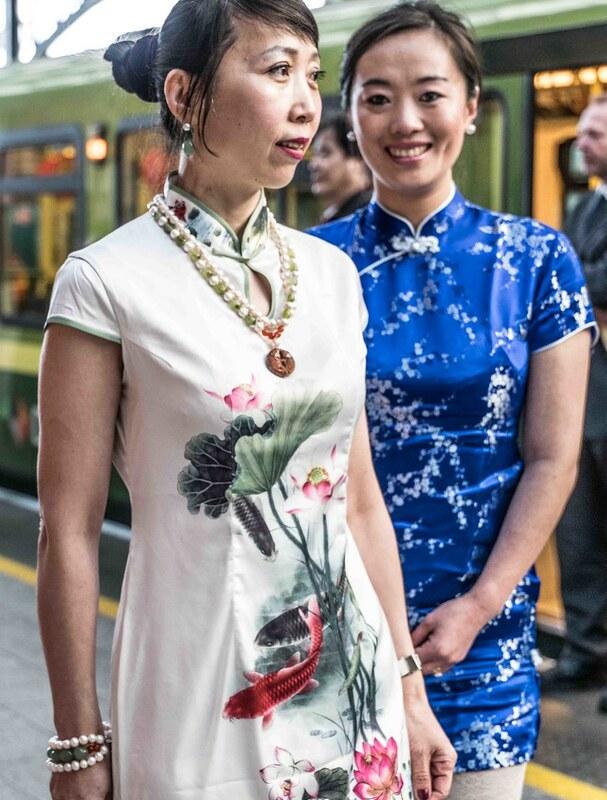 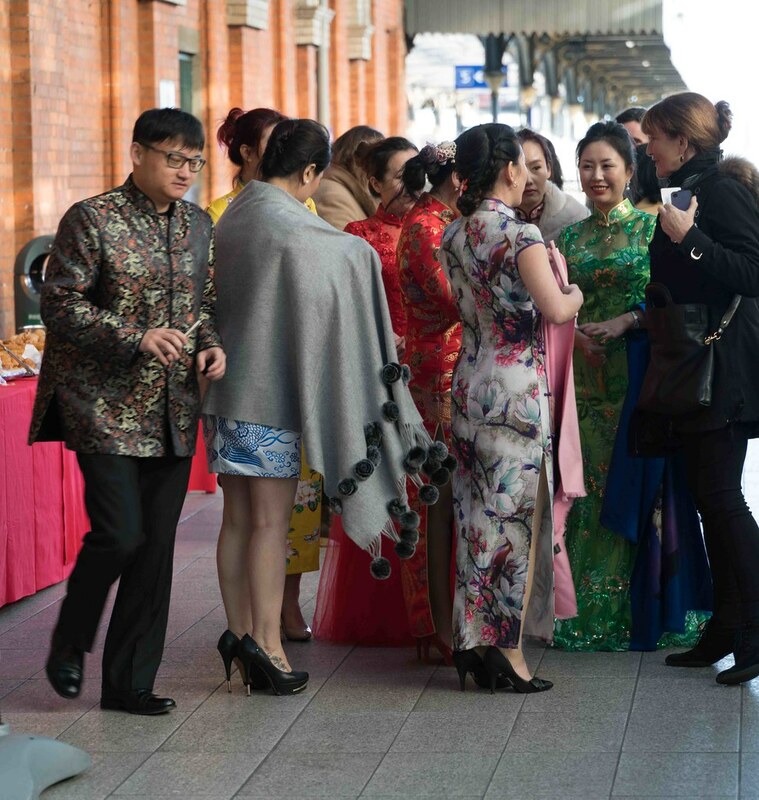 The China Cheongsam Association of Ireland performed traditional Chinese music and dance on platform four from 11am, and there was some Chinese cuisine samples for passengers who got there early as i was planning to have lunch in Howth I did not try the food. 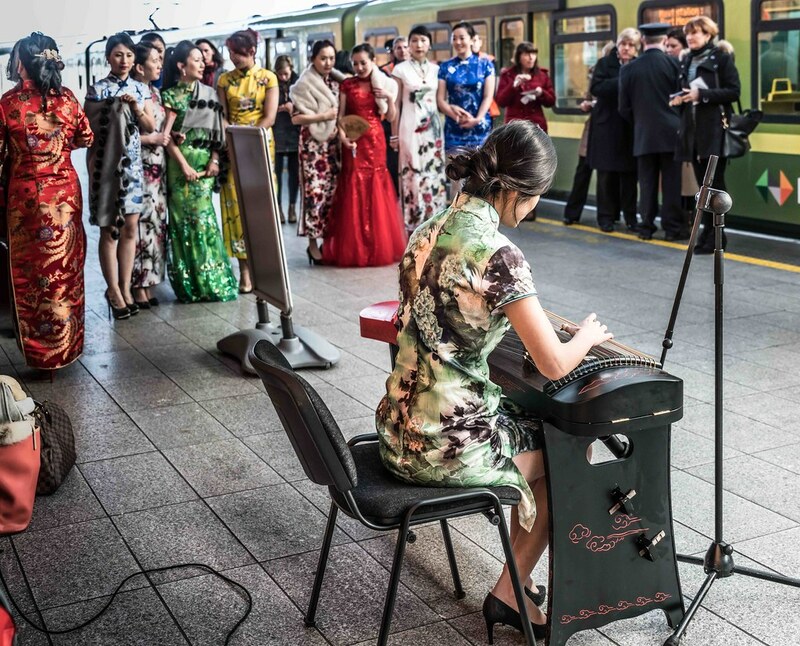 Last year Chinese commuters in the city of Shanghai were treated to the poetry of W.B. 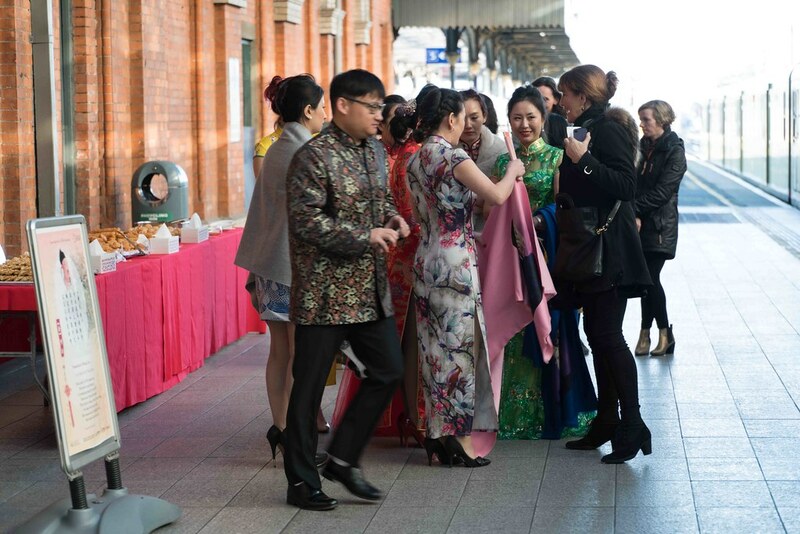 Yeats as they travelled on board the local Metro service and as they passed through various stations as part of the Yeats 2015 celebrations. 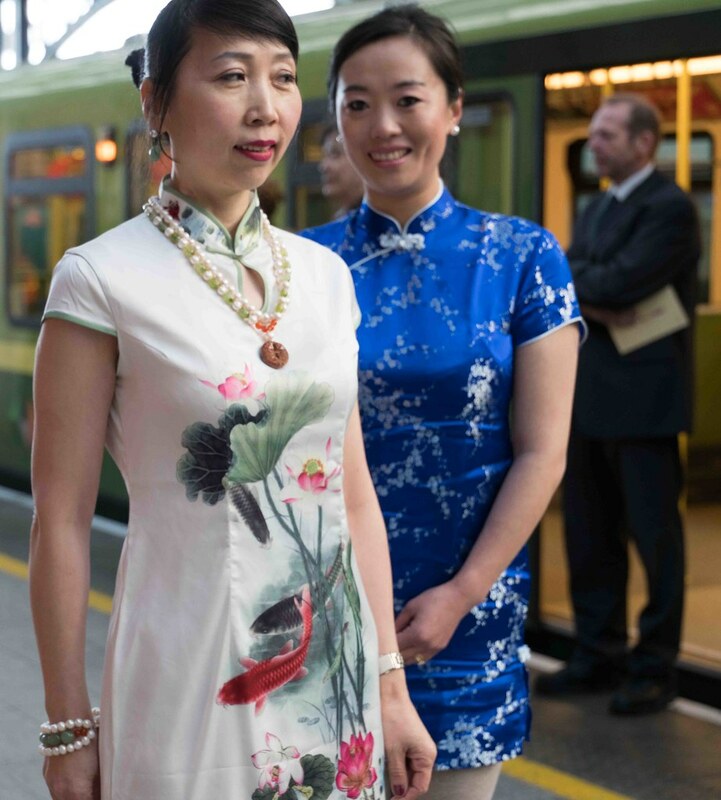 This year CIE will continue the relationship by displaying famous Chinese poems on board the DART and at Stations during February to mark Chinese New Year. 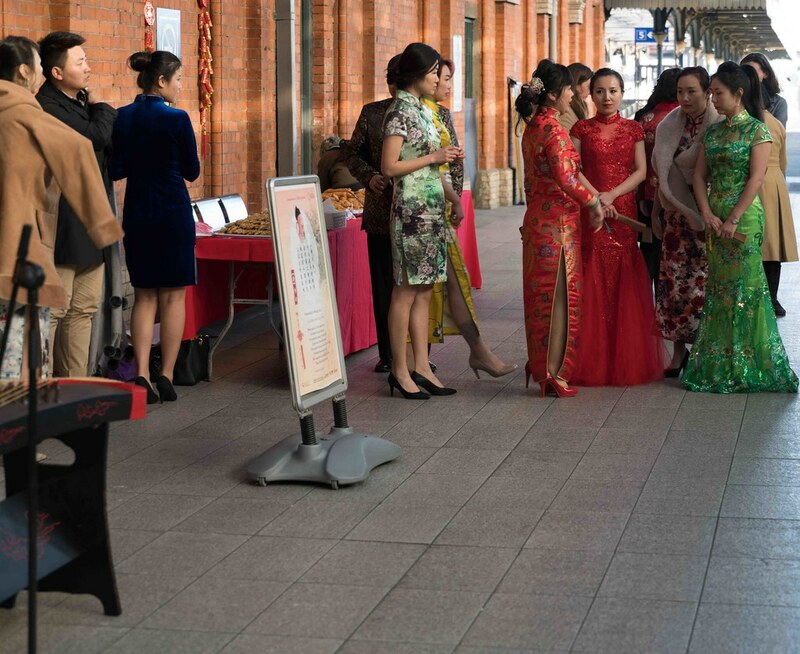 The poems will be displayed in Chinese and English.